A walk-in clinic at the Alameda Superior Court self-help center in Hayward sees about 150 litigants a day. Alameda Superior Court opens second self-help center. A new center to assist self-represented litigants opened in Oakland, thanks to funding last year for self-help services statewide. Due to budget cuts in the past, the self-help center in Oakland closed in 2016. The $19.1 million funding last year for statewide self-help services allowed the court to re-open it. In her annual State of the Judiciary address to the Legislature last week, Chief Justice Tani G. Cantil-Sakauye said millions of Californians come to courthouses each year without an attorney which is why she advocates for wayfinders or court navigators to assist them. "Self-represented litigants need help to access and to understand our court system," she said. "In a state that is as diverse and inclusive as California, we are always working on access to justice." Alameda's Self-Help Center in Hayward, CA. The new self-help center is housed in the Wiley M. Manuel Courthouse in downtown Oakland and is modeled after Hayward’s self-help center. Court staff members include three attorneys, three assistant administrative analysts, and a clerk. In addition, the center provides a team of JusticeCorps members, college students and recent graduates who do not provide legal advice, but rather help court users without an attorney navigate the court system. 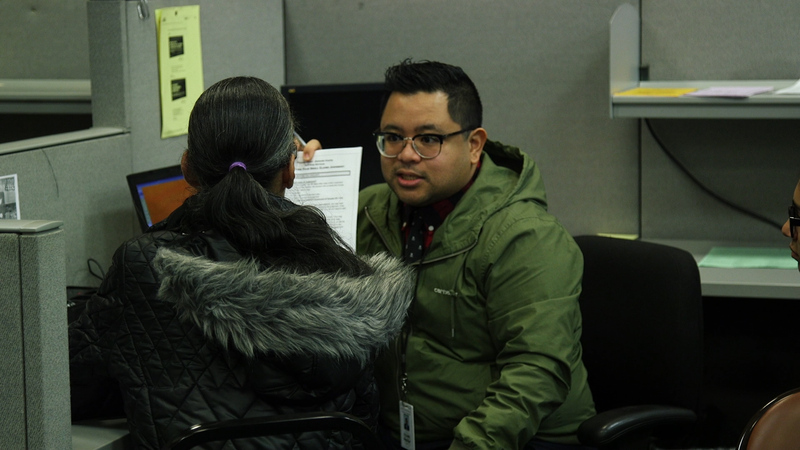 The center helps visitors with legal matters such as unlawful detainers, small claims matters, restraining orders, name and gender change petitions, and guardianships. Court users who seek help with family law matters, including child custody and divorce, will still have to go to the self-help center located in Hayward. Court users can visit the center for walk-in clinics, Monday through Thursday from 8:30 a.m. to 12:30 p.m. and register ahead of time for workshops offered in the afternoons. Morning sessions will be capped at 45 people to best serve self-represented litigants who visit the center.